Menu planning? 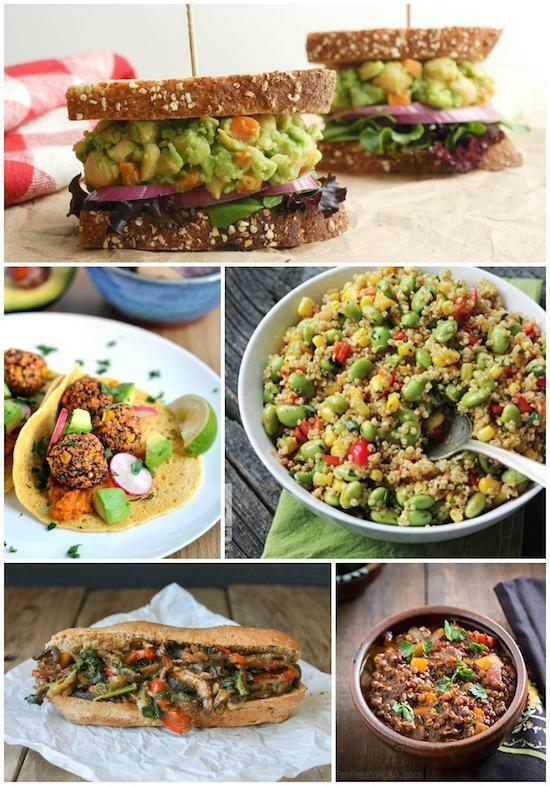 Check out this week of vegan meals for some delicious meatless breakfast, lunch, and dinner ideas! This week’s meal plan features a week of vegan meals. I’m not vegan and probably never will be, but I do believe that everyone can benefit from adding some plant-based, nutrient-rich meals to their diet! 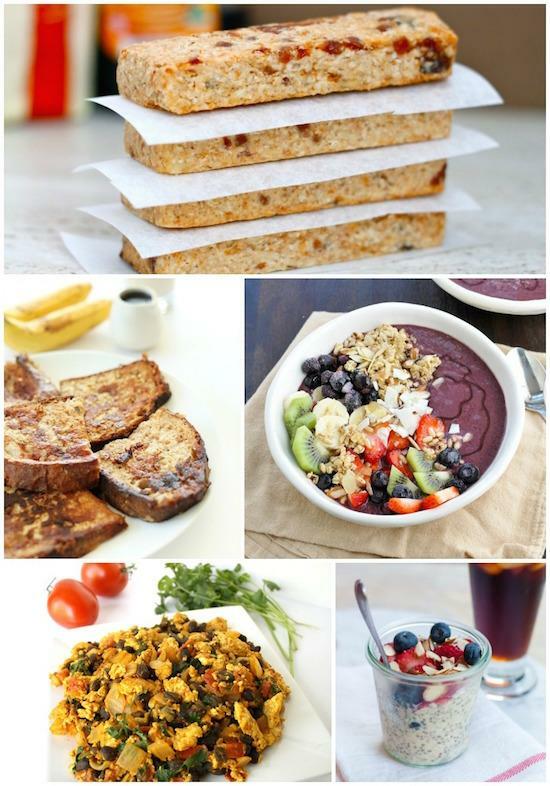 This isn’t a meal plan I’m following and you don’t have to follow it exactly either, but here are 5 vegan breakfast, lunch and dinner ideas for you to check out. Consider adding a few of them to your meal plan for next week! Use whatever fruit and other toppings are your favorite! The perfect substitute for scrambled eggs! Be sure to use a vegan protein powder! Add your favorite vegan cheese if you want to! You could also scoop this up with chips or crackers if you don’t want a sandwich! Edamame is a great source of plant protein! Eat them on a salad or in a wrap! Hearty, filling and makes enough to eat all week! A great sub for meat or fish! Add this to your pizza night rotation! Add some meatless meals to your menu! A week of vegan meals from @leangrnbeanblog! Make a batch of the apple pie bars or a few batches of protein overnight oats to keep in the fridge for a quick grab and go breakfast. Chop veggies and cook the beans you’ll need for a tofu breakfast scramble. Make a batch of lentil chili and you can reheat it all week. Make a big bowl of quinoa edamame salad. Eat it for lunch or add it to dinner as a side dish. Bake some quinoa bean bites. Grab a few when packing your lunch to put in a wrap or on a salad. Chop and cook the veggies for your Philly sandwiches for quick assembly. Make a batch of chickpea burgers and freeze them. Pull them out and reheat as needed for quick weeknight dinners. Make a double batch of lentil mushroom ragu and freeze half to have on hand for a busy week later! Many of these meals could be prepped ahead of time to make your busy weeknights easier. If you liked this post, you’ll love my ebook – The Ultimate Guide To Food Prep. 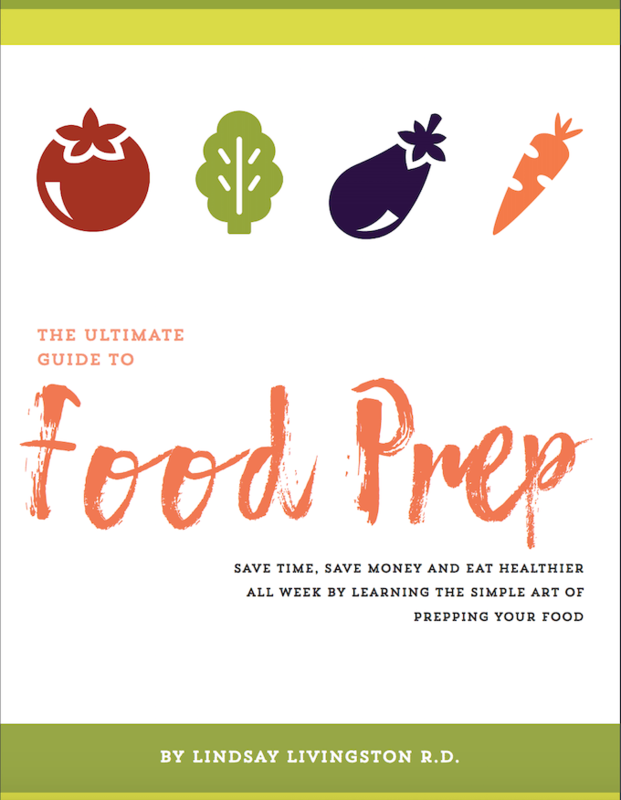 It dives into even more detail about how to food prep, troubleshoots common problems and provides tons of tips to make it easier! Click the image below for more details! Looking for more meal plan inspiration? Click the photos below for more weekly menus! Be sure to pin them all for inspiration later! What’s your favorite vegan meal? Leave a link in the comments! Thanks for including my Portobello Steak Sandwiches!! Great list of recipes you have! Yum! SO many delicious eats! This is such a great roundup!! Thanks for sharing, Linds! Great round up- Loving this series! Awesome round up! I’m always looking for vegan meal inspiration! 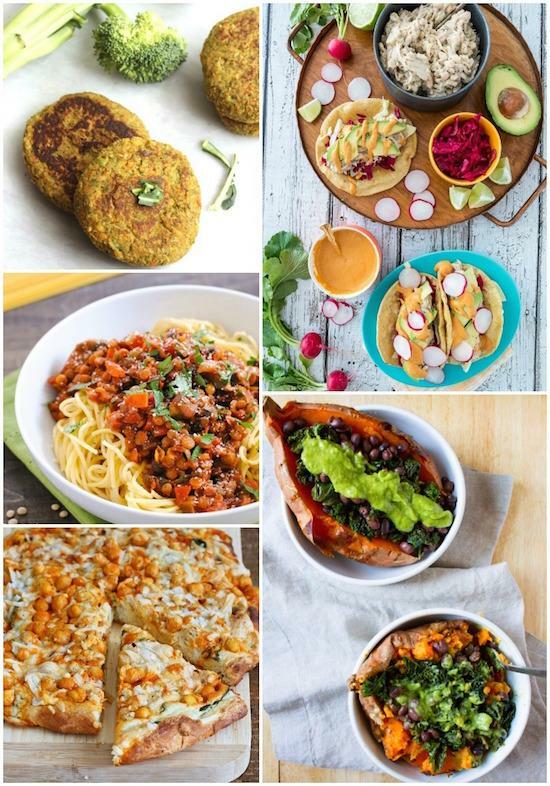 So many great meal ideas I don’t even know where to start…I’m not vegan either and will never be, but I totally agree it is always good to try something new! Thanks for sharing! I always joke how much of a carnivore I am. I could easily go vegan. I’m not vegan but I like to have variety. I think you just planned my meals for the next month! I love ALL the foods and love how creative vegan dishes are – thanks for the ideas! This is great! On my blog I am narrating my desire to do a 7-day vegan experiment and I am in search for creative meal ideas. This is so helpful! Thank you! [WORDPRESS HASHCASH] The comment’s server IP (192.185.4.138) doesn’t match the comment’s URL host IP (192.185.48.157) and so is spam.